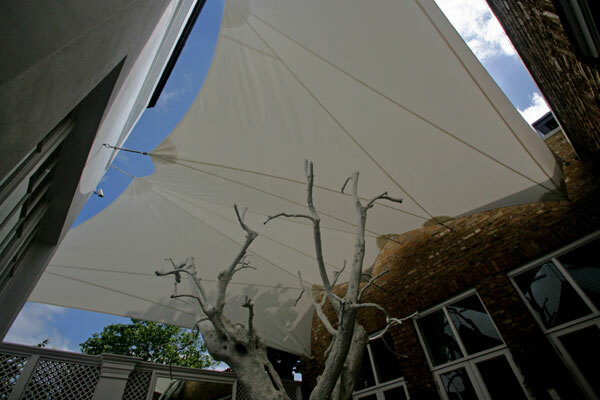 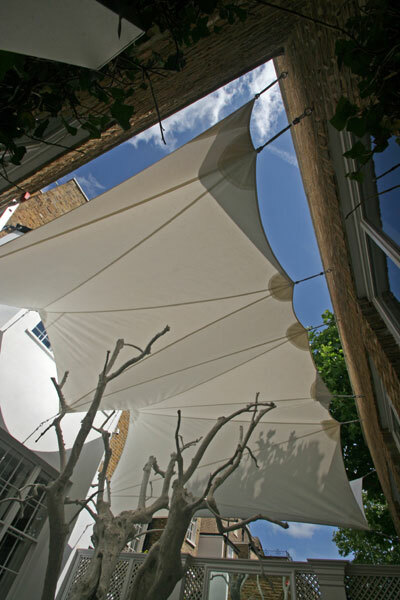 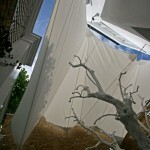 We began discussions on this project 6 months ago and while the initial idea was for a standard 4 point shade sail, following a site visit, the tree sculpture in the courtyard meant this was not possible. 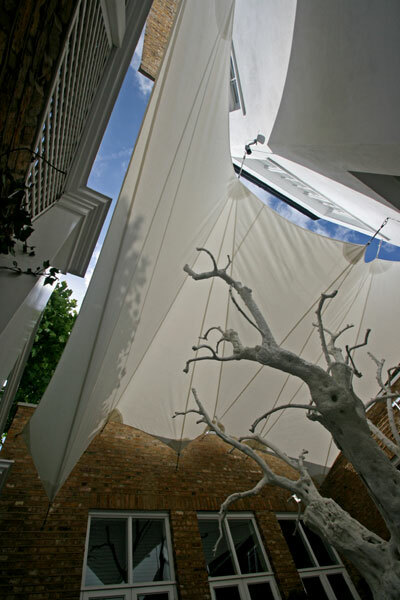 So we came up with a sculpture concept of waves and folded paper to control water flow and allow the sail to dip and rise over the branches of the tree. 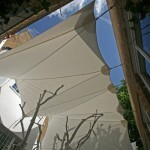 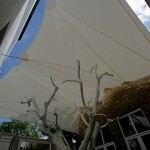 The customer was delighted with the outcome and it looked truly spectacular when installed.